The Priest feeling foolish, told Ben that it was fine. He told the man that he was welcome to pray there anytime. ‘It’s time to go, and thanks,’ Ben said as he hurried to the door. Then the Priest knelt there at the altar, which he’d never done before. His heart melted, warmed with love, as he met with Jesus there. As the tears flowed down his cheeks, He too repeated old Ben’s prayer which he had never done. Past noon one day, the Priest noticed that old Ben had not come. As more days passed and still no Ben, he began to worry some. At the factory, he asked about him, learning he was ill. The hospital staff was worried, but he’d given them a thrill. The week that Ben was with them, brought changes in the ward. His smiles and joys were contagious and changing people were his reward. He wanted them to be cheerful and happy at all times. The head nurse could not understand why Ben could be so glad, when no flowers, calls or cards came, not a visitor he had. The Priest stayed by his bed, He voiced the nurse’s concern: No friends had come to show they cared. He had nowhere to turn. Looking surprised, old Ben spoke up and with a winsome smile: ‘The nurse is wrong, she couldn’t know, ‘He’s been here all the while.’ Every day at noon He comes here, a dear friend of mine, you see, He sits right down and takes my hand, leans over and says to me: ‘I just came by to tell you, Ben, how happy I have been, since we found this friendship, and I took away your sin. I think about you always, and I love to hear you pray, and so Ben, this is Jesus, Just Checking in Today. oh how deliciously sweet Kamal .. lovely! Thanks so much dear Kate. Thanks and a happy day to you, Kate. Love and joy to you. Thanks for the wonderful feedback dear Krishnapriya and yes this story is absolutely true. He considered Jesus as his friend and not a moment went when he was not thanking his God. We need to have complete faith like Ben in our God who is in all of us whether he came as Jesus or Krishna, or Buddha and having his grace on us. Welcome always. Merry Christmas to you and your family. Welcome always and u too are a great inspiration to all our bloggers dear Krishnapriya. I believe in God, In whatever name He is called…or more accurately, I believe in the idea of a Higher Power, which can give us mental peace and happiness! Yes absolutely true and agree totally with your words Indira. Our God has been simply given names and religions to suit us otherwise He is Oneness in all of us. We all r wanting peace and happiness that is who we really r. Thanks for the beautiful comment. Merry Christmas to you and your family dear. What a lovely reminder! Merry Christmas 🎄! Thanks so much. Merr Christmas to you and your family too. Yes hope we all could be like this Ben in this inspiring story of his utmost faith in Jesus and the Lord being with him all the time with his friend. Thanks for the beautiful comment Brad and yes we all must spread kindness every where we go. Happy holidays to you and merry Christmas to you and your family too. Welcome dear Brad. Love and joy to you. Have a great day dear. That is a beautiful story. You wrote it well. Thanks dear Rue. Merry Christmas to you and your family too. Have a great day. Yes absolutely true Amira and the priest was humbled by the poor man. These stories are so inspiring and speak from the heart how one must have utter faith in the Lord who is our friend and constant companion. Thanks for the beautiful comment dear Amira. Wonderful story! Indeed none of us are left alone in this world. Yes absolutely true and this story is so apt and true words, He is always there with us as our constant companion. Thanks dear Megala for your kind words. Thanks dear and so much learnings we get from these insights. Many people will walk in and out of your life, but only true friends will leave footprints in your heart.” very well said Kamal. Thank for sharing this here. Yes absolutely true and agree totally with your words dear Moushmi. Thanks so much. Merry Christmas to you and your family. Love and light. Thanks dear Zaza and for sure he was the person trying to show us how to trust and faith in our Lord who is our constant companion and friend the way Ben had, Zaza. Once we surrender he simply takes us with him everywhere. This story showed us his love for all of us. Thanks so much for your beautiful comment. Yes, yes Zaza in awe of his glory and grace. He is our loving father who loves us more than ever. In his love and hugs to you dear friend. May we all learn to love him. Do you want to continue writing our ‘community haiku’ in January? I can surely understand but still relax for some time and take it easy dear. WHAT IDEAS DO YOU HAVE FOR JANAURY AND THE NEW YEAR FOR HAIKU? We can write on the freshness of a new year beginning or u suggest something what comes to u.
perfect idea… let’s compose for the first week in January and you begin the first line, Amira is ready for the second line, I will complete the last…Haiku…5/7/5 syllables each line, yea! Thanks and I can make a poem also what say Zaza and I too can send from my blog in January will add more lines. Sometimes our minds simply flow like a blossom. Thanks so much my dear friend. Hugs and love to you. Good night see u tomorrow. Something like Fresh start of a new year dawns upon the horizons mist. Joy and splendor the whole year through. Spreading love in mystical embraces. How about this Zaza. K but we will do it in the first week of January and first I will fine tune it then will send u once u like we will go ahead what say and Zaza u post. I shared this with Amira and she will be ready to join in–yea! Oh great dear Zaza we will surely do so my friend. I wish to bless you my dear Friend and all whom you adore with the good Lord’s glory and Happy New Year in Mumbai! Thanks my dear friend Zaza for your kind wishes. Happy New Year to you and your family and may the Lord bless you the whole year. Love and hugs. What do you think? Can edit and we can ask Amira to provide appropriate image and I will post it?? K for sure we can do that, Zaza and I can like to edit say if we put: ‘A fresh start dawns upon the horizon’s mist, for a splendorous New Year , spreading love in mystical embraces’. Amira too can edit or add what she would feel appropriate, Zaza. Now you can show it Amira too and then make a wonderful post for a great year ahead. Can you edit the first line remembering to use 5/7/7 syllables for each line? Amira, can you do same for middle line? I will complete the last line, then I can post for Thursday? Kamal, what is your first line of 5 syllables? I’ll conclude the third line with an image and post when we all agree? Merci. the 5 syllables stops at awakens??? I have given the 5 syllables Zaza now you two can put the rest. Yes yes my dear friend, Zaza you can now send to Amira and we can make a lovely Haiku. I could like to add if I can: FRESH DAWN AWAKENS NEW YEAR’S HOPE, SHINING BRIGHT UPON HORIZON’S MIST, MYSTICAL WONDERS ENVELOPING MOTHER EARTH. This is what I liked, Zaza. See what you can do. I will add the last line at end of the post, it goes perfect with the image too, okay? Yes absolutely Zaza. It will be lovely. Yes absolutely true Amira our prayers need to come from the heart no matter how simple they are cause God does not want to hear bombastic words but simple cause He is Simple and Love eternal. Thank you so much dear friend for your reblogging. Love and light to you dear. I am in tears, good tears. What an awesome story! I’m going to share it, of course, hoping and praying people will read and be blessed, too! I am feeling so happy with your words dear Jonathan. This story shows us how we need to be firmly in love and trusting our Lord and he is always there with us as our friend and constant companion. He has never left us instead we with all our nonsense have left him. He is pure Love. Thank you so much and it would be a pleasure to reblog. Love and light to you. Thank you so much dear Didi for your true feedback and yes this story tells us how we need to with faith and trust believe in the Oneness of the Lord who is always there with us as our friend and constant companion. He has never left and will never will. We have to surrender our all. He knows what he is doing. Love and light to you too my friend. Have a great day. 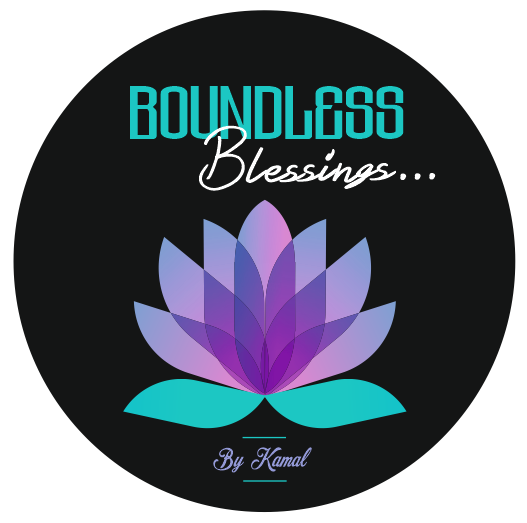 My dear Kamal – I fully agree with your words – first we need to develop yearning for our Father of Oneness, then receptivity we are going to develop (one third we can get from holy books, 2 more thirds by means of receptivity) and finally we surrender to Him entirely with our body, mind, intellect and soul. Yes absolutely true and agree totally with your words dear Didi. Its a beautiful post! Thank you for sharing. Yes of course dear Tanvir, God is not fearful he is simply Love and Pure Love. All our human nonsense that we make him a Devil and a Saint too. He is only Love and yes this story tells us that if we have trust and faith in our God he is always there as our friend and constant companion. Thank you so much for your kind words. Merry Christmas to you and your family dear. Thanks so much dear Tanvir and these stories give you so much insight and faith in our Lord who is always besides us and we can talk and walk with him. Wish you and your family too a prosperous Year 2019. Yes this story has so much trust and faith in God who is always there as our constant companion and has never left us. He is our true friend. Thank you Parikhit for your great comments. Yes till death and He never leaves us though we do so with our nonsense that we carry around but He walks besides us though we do not recognize Him too and our poor Lord understands us. Yes yes I have that story with me and it is awesome. There are so many stories to tell us what are true nature is and that we have never been separated from God but u know how we are humans living in a world of illusion so these stories and other motivating books and speakers tell us who we truly are. Thanks Parikhit. You must keep this story on your blog it is beautiful. Thank you dear Parikhit and it is Him we need to thank each and every moment for this beautiful life. Blessings and Light from our One God who is every present in all of us. I just loved this. I’m going to share it on my blog. Thank you for sharing this story. It warmed my heart. Made me feel alive once again. For sure pl. go ahead and do so. It would so nice for all to be inspired by these profound stories, Kat. Thank you so much for your beautiful words. Have a great day. Yes it would. We need to be inspired I totally agree. You’re so welcome. Thank you I did and I hope you had a great day! Yep. I totally agree. We need more stories like this. I love it. Yes we surely do in order to be inspired ourselves and have more faith in our Lord. That’s true. God is the only way. Thank you so much for your kind words, Kat and for reblogging this awesome story. This story showed us how to Trust and have complete in our Lord. You’re so welcome. I was honored to share this story with others. That’s awesome I’m so glad to hear that. God is so good. Thanks once again dear Kat. Great story with great message Kamal. Yes dear but these stories remind us how we need to be going back to our trust and faith. Thank you so much Da-AL. Thanks so much for your beautiful words. Blessings and love to you too friend. Thanks so much for your wonderful words dear Denise. Yes this story was too good. Once you give your all then God takes care of you, no matter what and you are so much in bliss with him. Thanks dear Jennifer for your beautiful words. Yes absolutely true, Jennifer. Have a lovely day and thank you so much. Previous Previous post: Festive Season………. Next Next post: A Little Laughter to End this Year……….